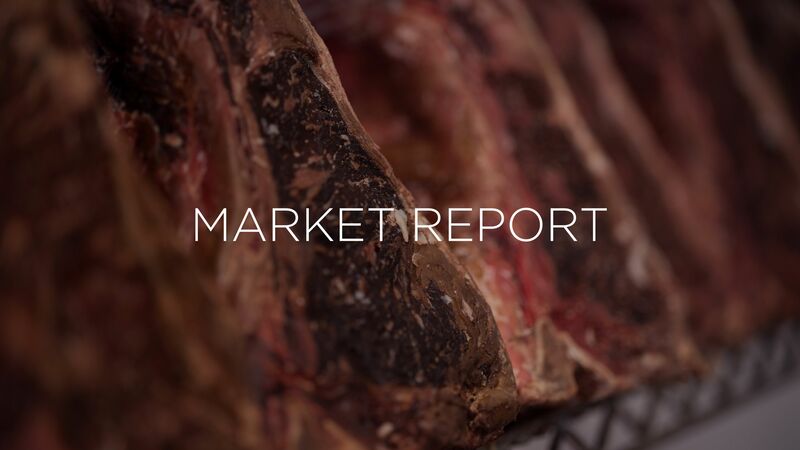 Market Report for August 2018 | Revere Meat Co.
August demand has proven to be much better than expected with the rib complex showing the most promise as summer comes to an end. The rib almost always comes down in price after Labor Day, but it is definitely in better shape this year. While we expect a dip, we don’t think it will be as severe as normal and the rally into winter could be significant. There simply is too much demand from all areas on this cut. The rest of the cuts are all holding steady to a touch higher, with the only real exception being the round cuts. They continue to be a problem for most of the packers and are requiring discounts to get moved. Live cattle prices have likely seen their low for the summer. While there is no shortage of cattle ready to go to market, the cattle feeder sees the strong demand and record profits that the packing houses are making. They should have no trouble pushing live cattle prices higher into the fall. Though we don’t expect a dramatic increase in these prices anytime soon. Atlantic Fresh Salmon- As predicted in our latest update, prices fell across all origins of fresh salmon … Chilean, Canadian, Norway, Scotland, etc. Prices for Chilean softened dramatically as adequate supplies were met with a seasonal dip in demand. Overall, we feel the fresh fillet market has found a bottom. The whole fish salmon market is holding steady so we don’t see prices going further south any time soon. Imported White Shrimp- Prices have been low, and held low, on almost every P&D size for months now … hitting record lows. Most of this is a result of record production volumes overseas. However, prices are beginning to stabilize and tick up a bit. Peeled Domestic Shrimp: Early indications are for an early opening of inside waters in Louisiana. So far the brown crop is looking good. Head-on shrimp will be small on opening of the season yielding 110/130 and smaller peeled shrimp. Currently all peeled shrimp are very short and prices continue to climb as inventories continue to decline. Domestic Headless Shrimp: Production has been very limited especially on 10/15's and larger of all species. Brown and white headless production has been very light. White shrimp production should pick up in the next few weeks. Whites will range from 16/20's thru 31/35's. The typical boats that fish for premier browns are all currently in Florida fishing for pinks. Brown shrimp will continue to get shorter as there is no production. Pinks are a fantastic replacement as they are the same species as many of our brown shrimp. They are all hoppers identified by the red dot on the shell. Great shrimp for steaming or any other cooking method! Lobster Tails & Meat: Typically, this is the time of year you start to see increases in pricing across the board, from now until early next year. The summer didn’t give us those seasonal low prices though because production fell short of expectations. Because of poor production being predicted through the end of the year many people are buying heavy now on popular sizes, putting pressure on availability and causing prices to rise. The lobster meat market did bring some soft prices over the summer, which was nice to see. We expect those prices to hold firm through August but start to tick up after that. Fresh Scallops: The summer brought us very cheap prices across the board for Domestic Scallops of all sizes. Over the last few weeks the prices of scallops, especially U/10, have been going up at the docks. We have just begun to see those increases and we expect them to continue into the fall months. Pasteurized Crabmeat: Overall supply has gotten better for the Blue Crab Market which is the biggest factor in those changes this month. Contrary to that, the lack of availability for Chinese and Vietnam Crab has made that market a tough one to navigate … product is incredibly scarce and prices are high. Their season just kicked off though and new containers are beginning to land. Tuna: Prices seem to be rising as demand increases for an already low landing August fish. The summer months brought great landings on domestic and import fish, but that appears to have slowed greatly. A full moon is expected in two weeks, this should bring greater catches and more fish to the docks!